There are certain things one must do when one lives in Hong Kong and gratuitous eating, followed by gratuitous food blogging are definitely up there. 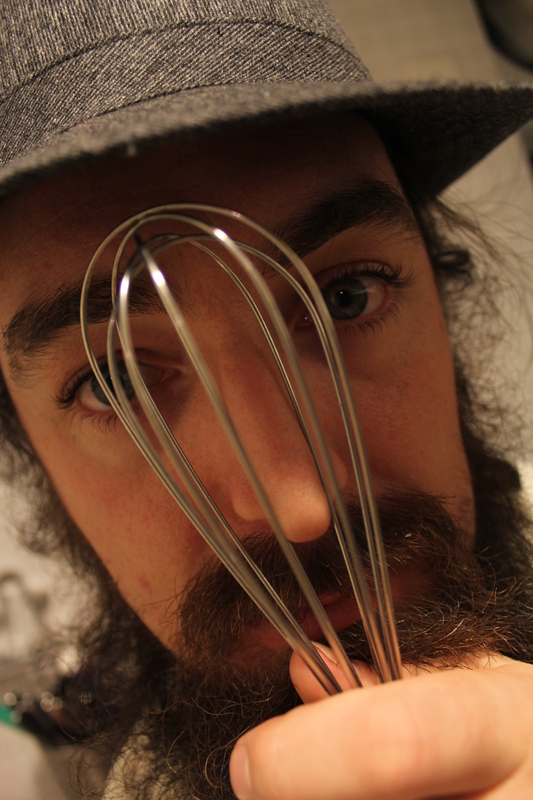 Having heard the word whisk, Dan got very excited and ran away to the kitchen thinking we were going to whip up some amazing delicacy. Turns out it was actually the name of the restaurant we were to dine in this particular Sunday afternoon, in celebration of the Oh-So-Hong-Kong tradition of the free-flow alcohol fueled Sunday Brunch. 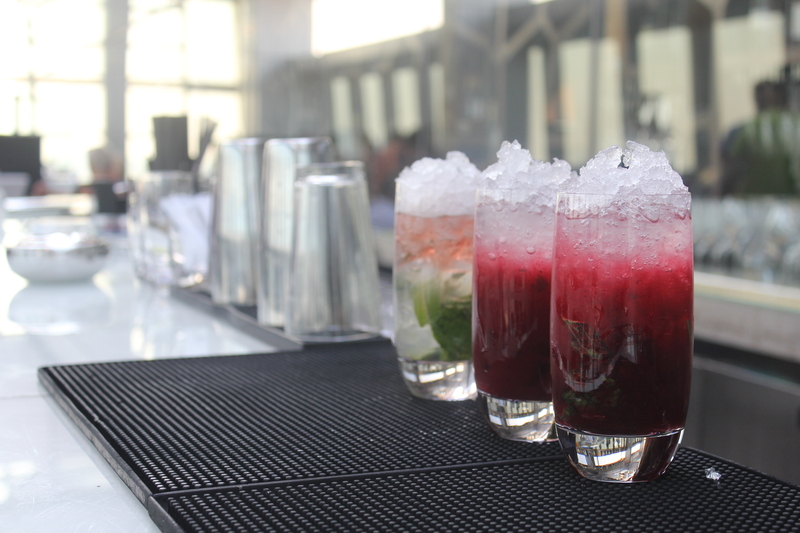 Whisk, at the Mira Hotel, was a place we had been wanting to try for a while and a lazy Sunday eating, drinking and drinking seemed like the perfect excuse. 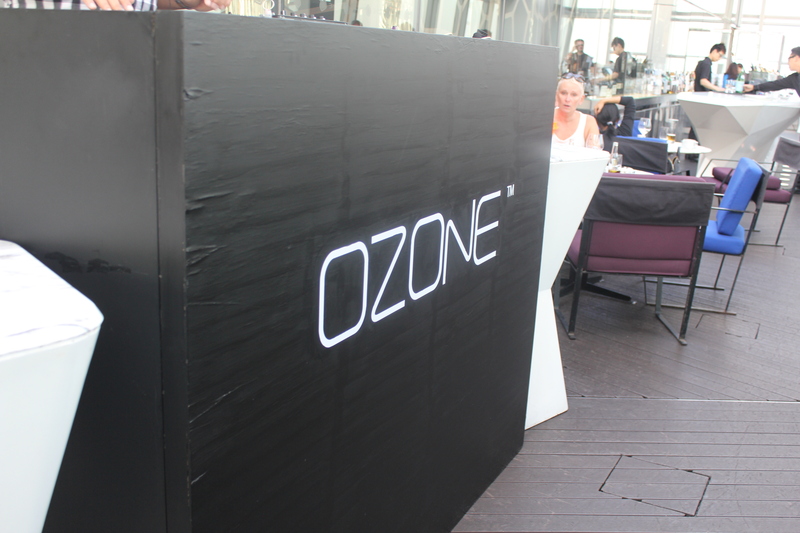 The atmosphere for a fun and relaxed dine is set by the resident DJ, Ouissam, who spun some chilled house tunes. Not being house fans (to put it mildly!) we shuddered a little initially but have to admit that it blended unobtrusively into the background allowing plenty of space for conversation, the clinking of classes and the oohs and ahhs to come. 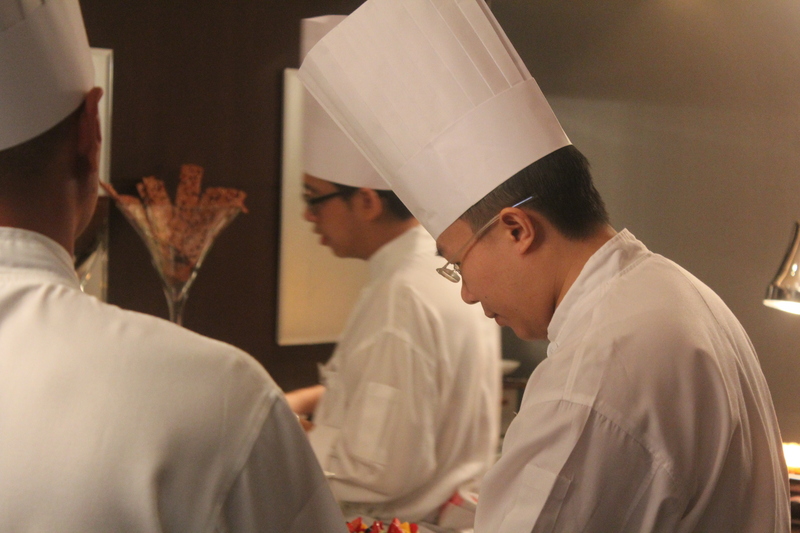 The restaurant is well staffed with super attentive, very friendly chefs, wait staff and a lovely manager who went out of his way to introduce himself to us and make sure we were having a lovely time. 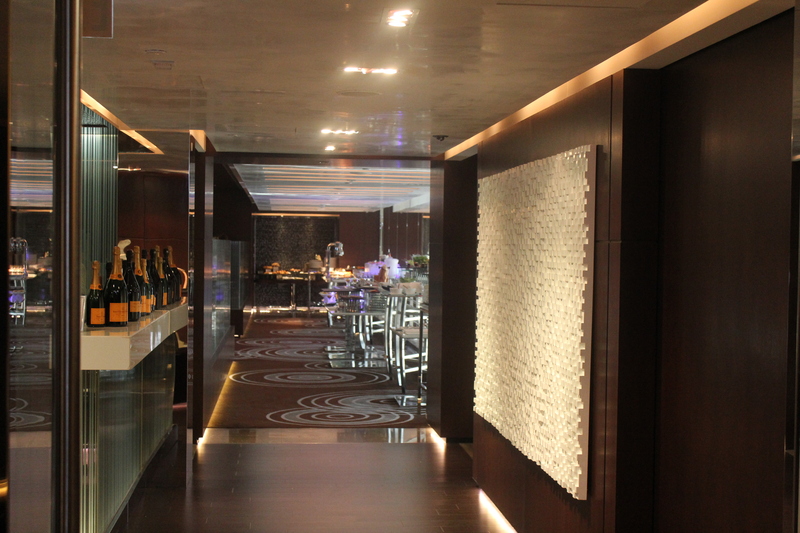 Unobtrusive but personal service is the way to our hearts…well, the way to our hearts after food. 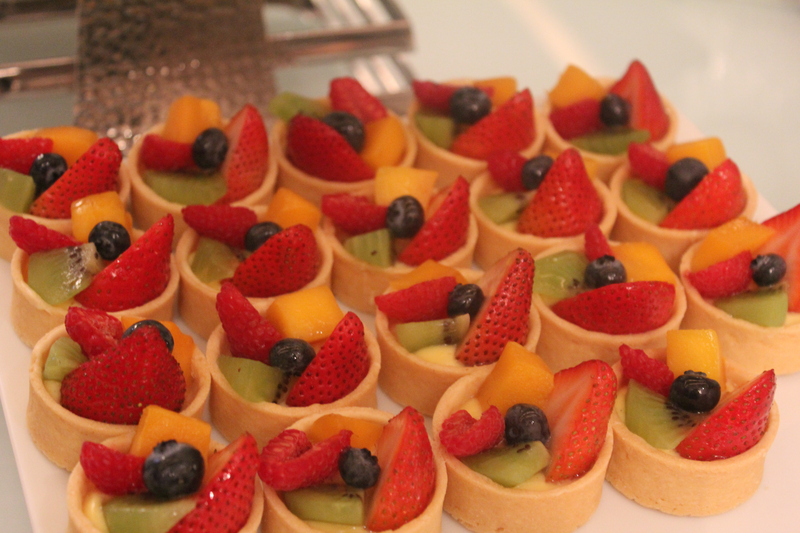 The brunch menu at Whisk comprises of a mix of both buffet and plated meals. A station we were all dying to work our way through was the aptly named (by us) Caviar and Vodka Station. Sweeeeeeeet! The yellow and the mini orange blobs were flying fish roe, the orange one winning out due to its slightly sweeter, more flavoursome nature. 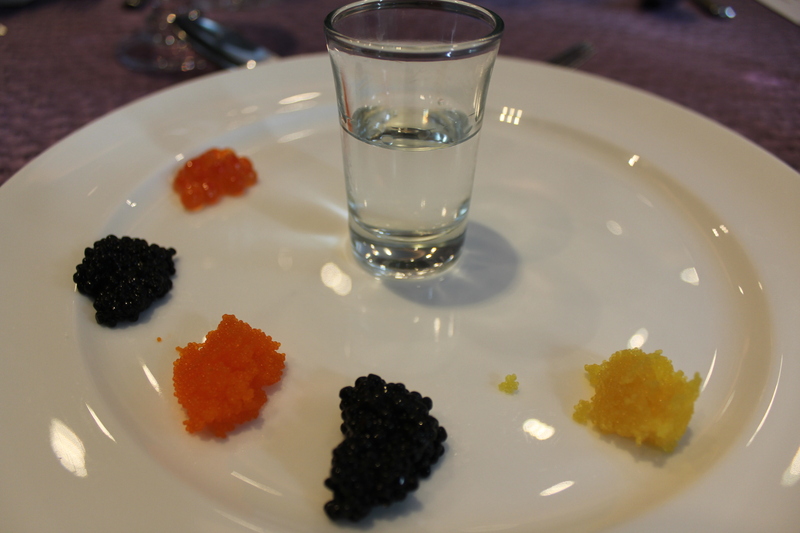 The big orange blobs of salmon roe were fairly standard but the black ones…oh, the black ones…now there’s the money! Sturgeon and Arvuga, the real deal caviar, stole our hearts and warmed our cockles. Or potentially it was the vodka shots that warmed us. 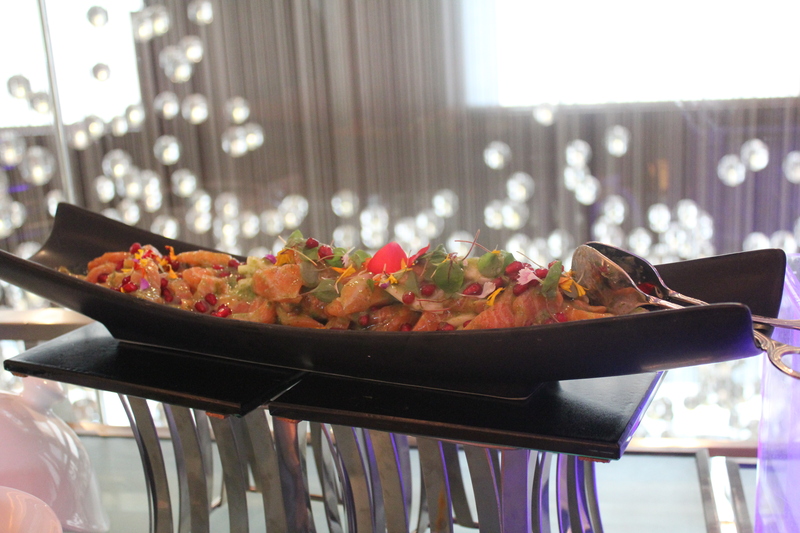 Any buffet that has self serve vodka and caviar gets four thumbs up from us (that’s two each, just before you start wondering about our genealogy!). 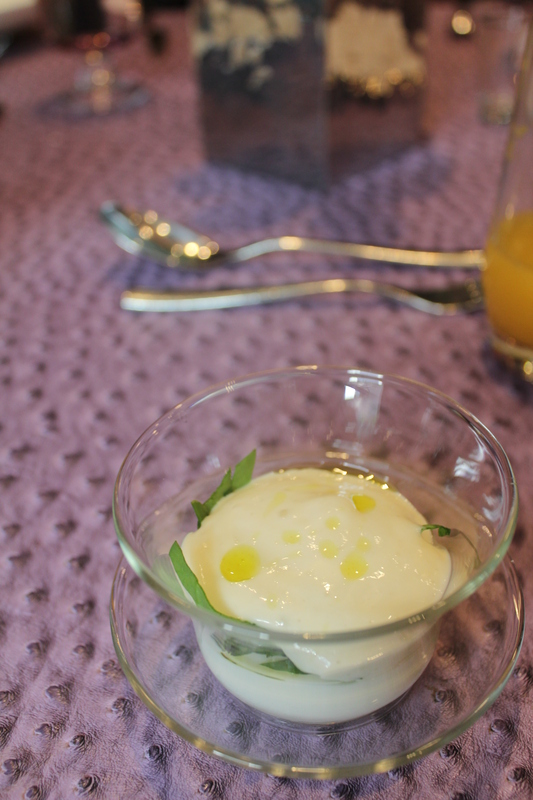 Eggs comprise part of the plated and served portion of the meal and come in two choices, the first being a poached egg with spinach and truffle espuma. Espuma, in case you’re interested, is a fancy-pants culinary term for foam. And foam is just a fancy-pants term for, in this case, YUM. If you read our previous blog about the butter and truffle sandwiches at Robuchon, then you’ll probably guess that we thoroughly enjoyed this eggy dish as it tasted like that but with the added addition of a slow-poached, water-bathed egg…and we all know everything tastes better with an egg. Divine! 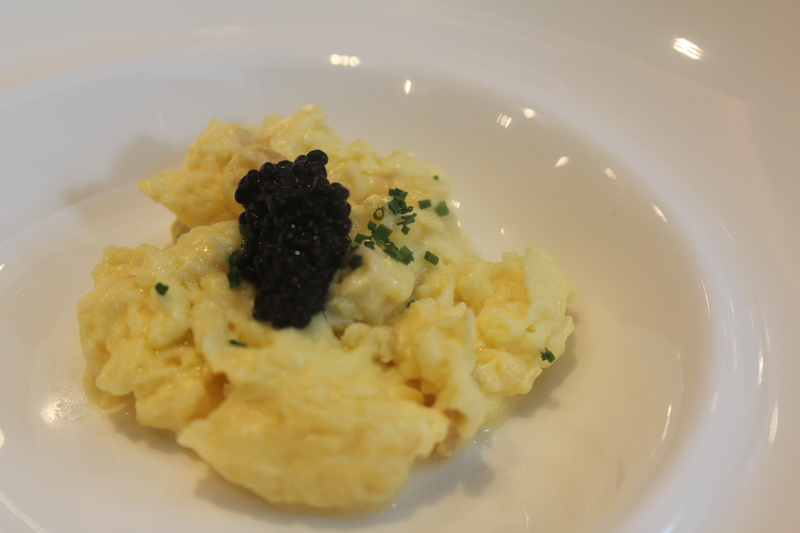 The other egg choice was a delicate scramble topped with chives and a healthy spoonful of more delicious caviar. Why we don’t have this for breakfast every morning, we fail to understand and aim to rectify. Caviar Sponsors, please? More plated choices come from ‘Bites’ section of the menu. This particular Sunday’s offerings all sounded amazing and luckily enough we had enough people to order one of each and two of some. Decisions avoided, everything sampled! 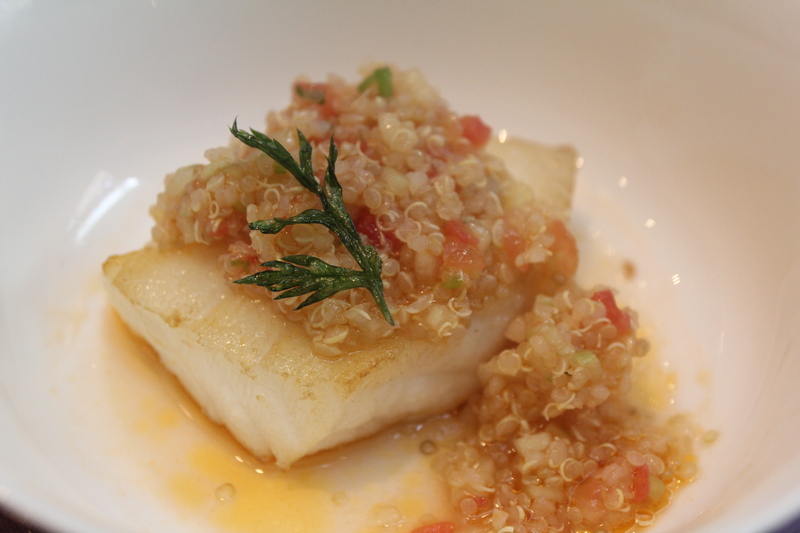 First up was a tender piece of cod, topped with a bright, tangy quinoa salad. Also on offer was pan-seared foie gras, served with a cherry compote. The foie was at its rich, custardy best. 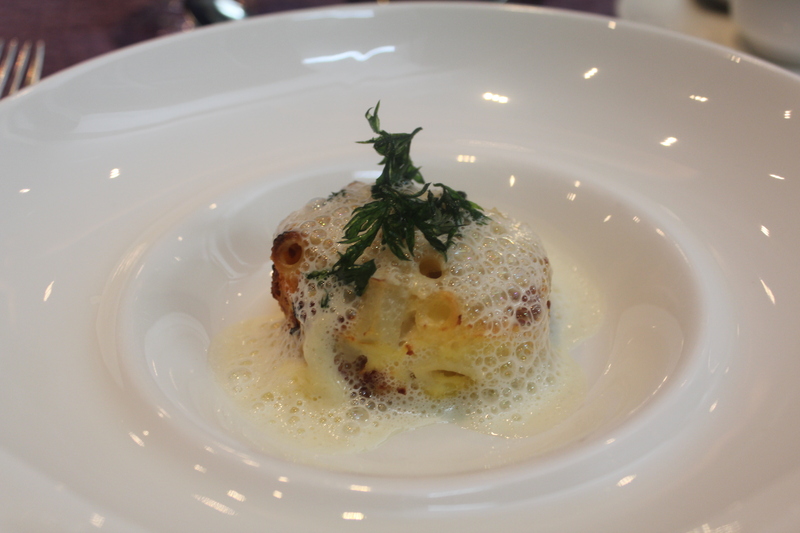 The show stealer, however, was a baked penne with potato, chorizo and some more foam. It was like eating a refined macaroni cheese. 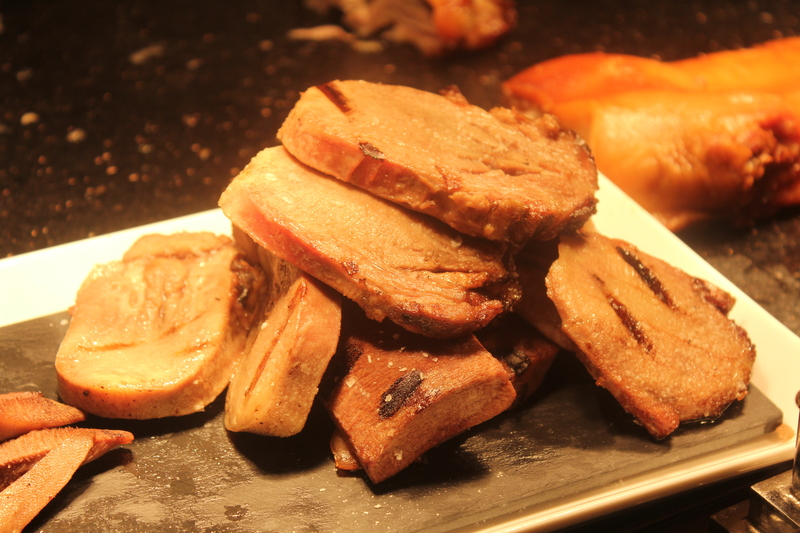 Actually that probably doesn’t do it justice but take it from us, it was amazing in its carby, cheesey, meaty goodness. Taste buds tingling, palates primed for more, it was back to the buffet to check out what other wonders lay for us to devour. First stop, the European meat station. 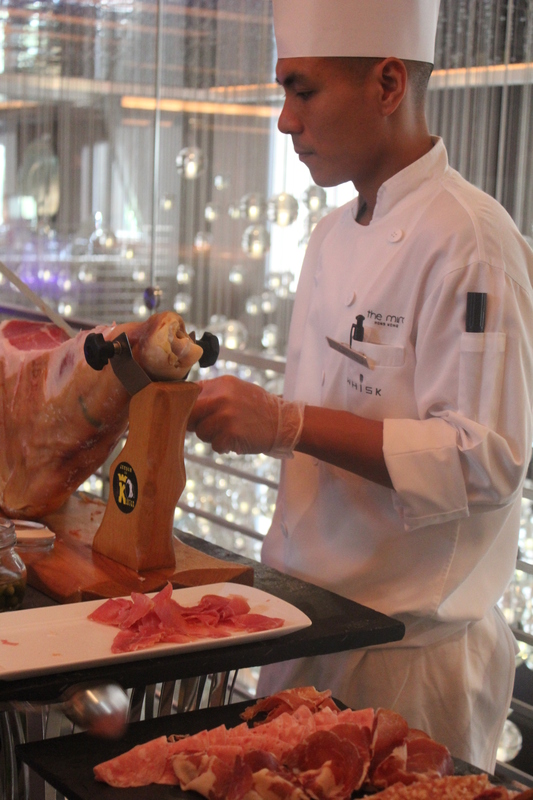 Waves of parma, salami, chorizo, ham, proscuitto and more lined the platters. An incredible selection of terrines, pates and rillettes rounded out the selection making it incredibly hard to pace ourselves for what lay ahead. Still, we’re dedicated, so on we trooped. 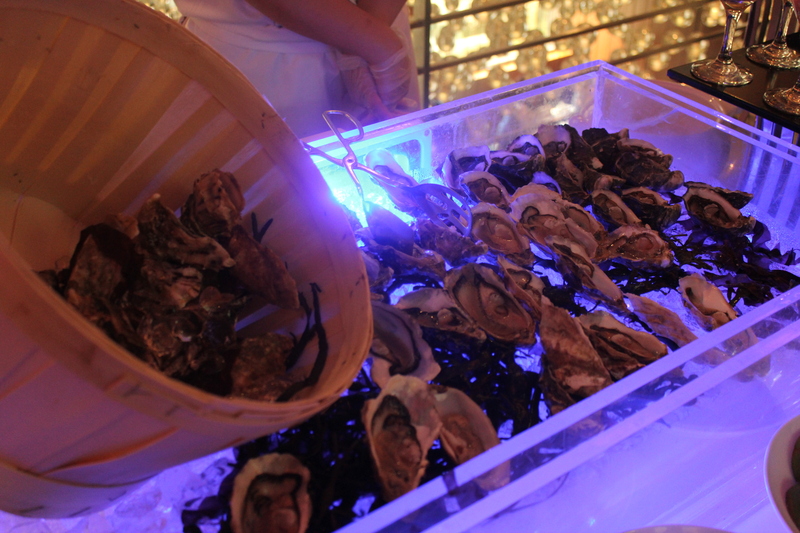 Seafood lay nearby and encompassed the full ocean gamut from shrimp cocktails, to sashimi to raw oysters on the half shell. 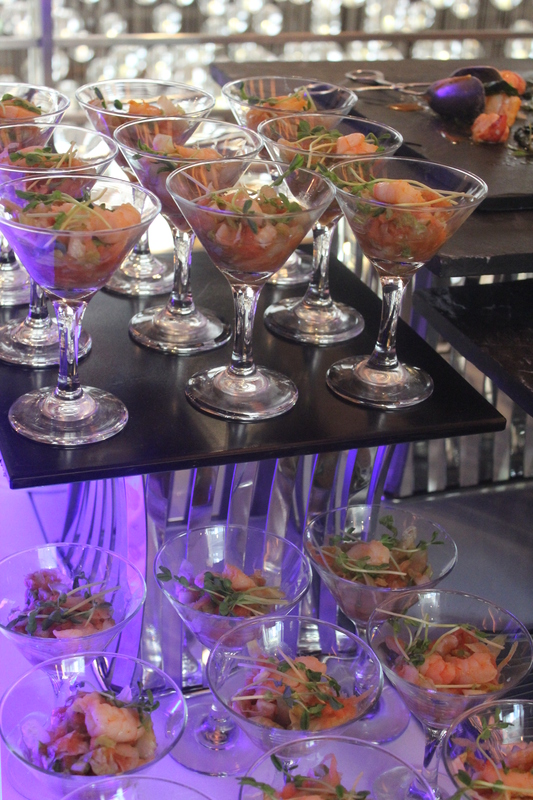 Seafood also appeared in the form of some lovely and very creative salad, our favourite being this beautiful concoction of salmon hunks (seriously non-skimpy – choice! ), pomegranate seeds and micro-greens. 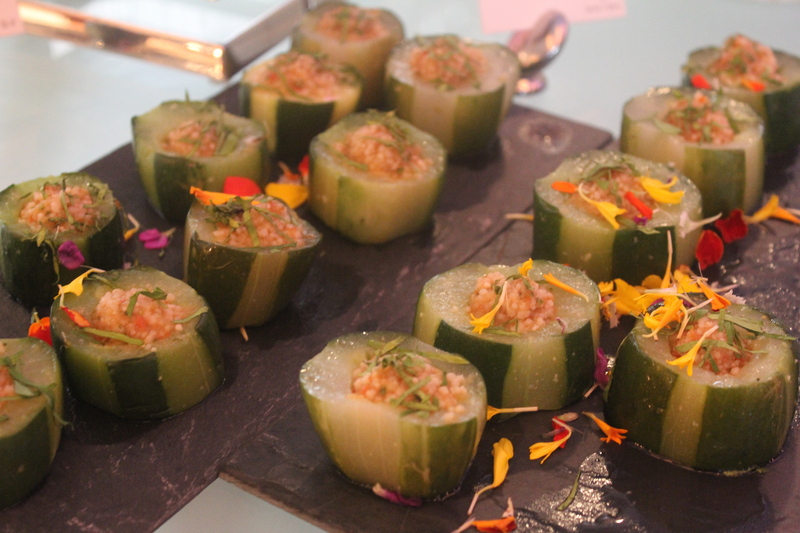 More seafood was judiciously stuffed into cool little cucumber cups. Binge o’ seafood complete, it was next to the barbeque station, a respectable selection of hot meats, cooked, sliced and piled on our plate right before our greedy carnivorous little eyes. There was suckling pig, beef tongue, roast chicken, lamb and wagyu ribs. 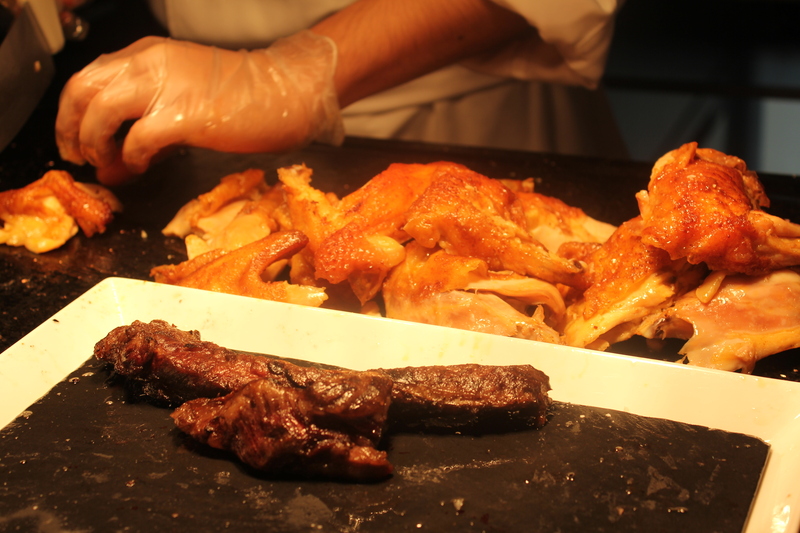 For the sake of our dear fans, we tried everything and can assure you, it was all delicious. 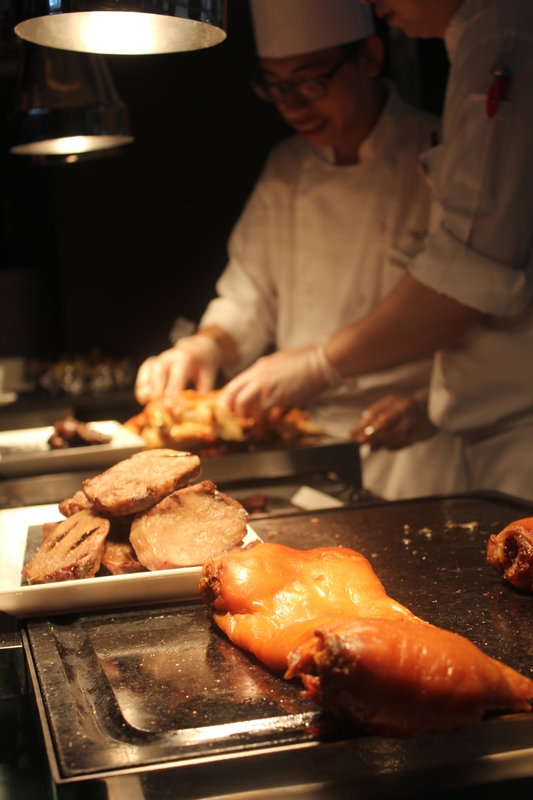 Accompaniments are provided close to hand in the form of different sauces, mustards and vegetables but we were utterly distracted by the flesh of delicious animals. We should probably throw in a quick shout out to the bread selection as this stage of the game. 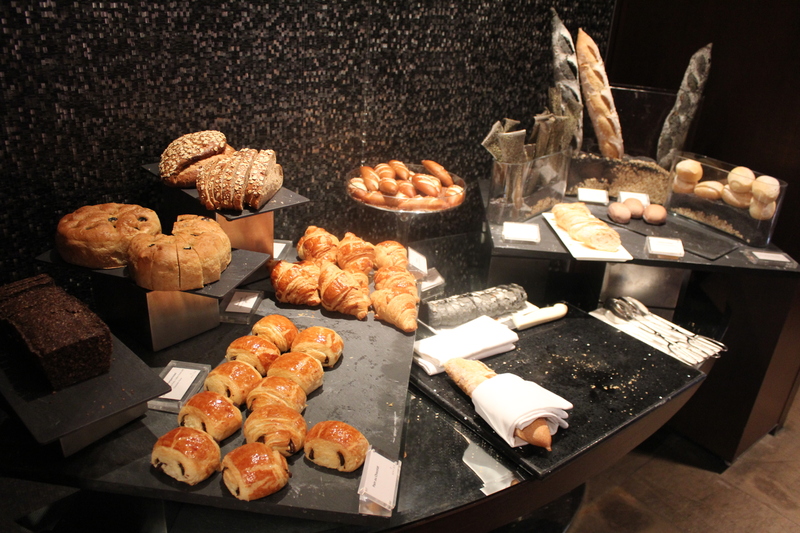 Having become somewhat expert at the do and do nots of gourmet buffet eating, however, we stayed away from the oh-so-tempting range of freshly baked goodies. 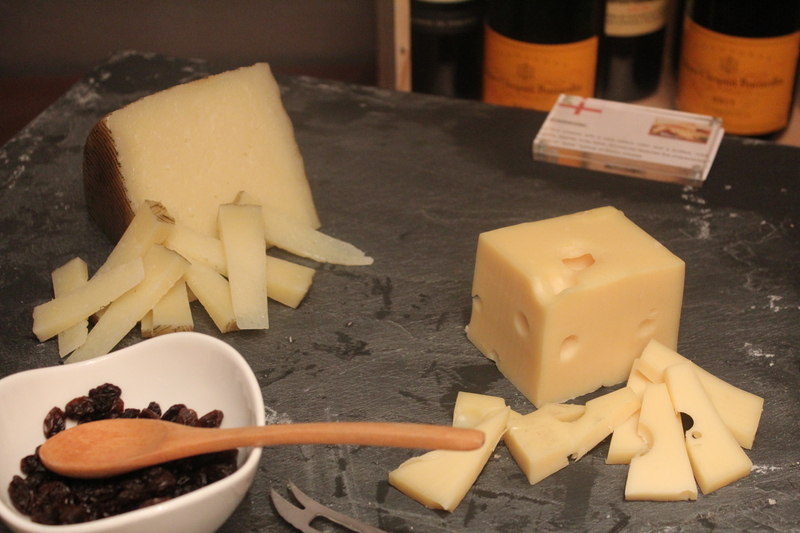 It would probably be worth a return visit just to sample the range and smear it with the cheeses we ran out of room for. Another time, eh? 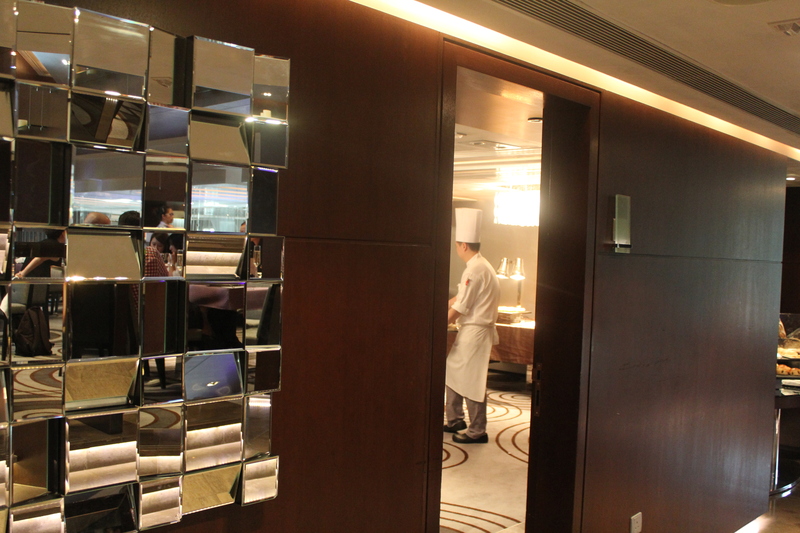 Another time because something more enticing lurked beyond the door…and no, we’re not talking about the chef. We’re talking about dessert. 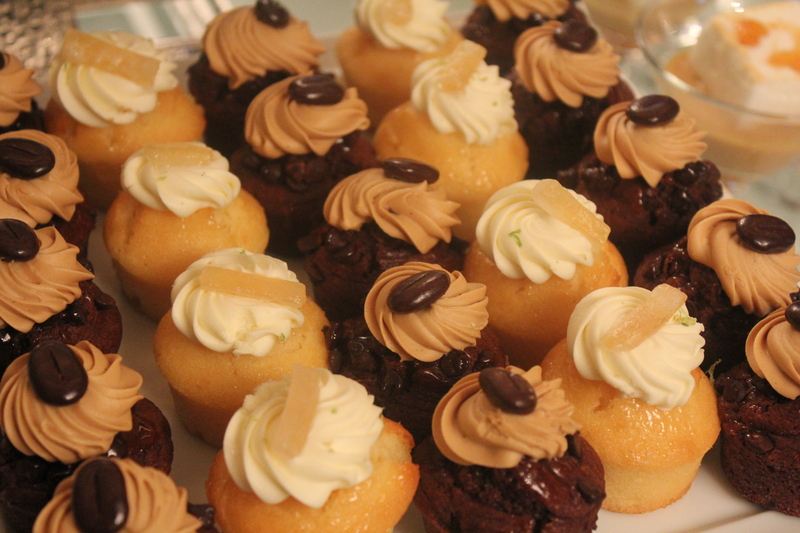 Piles and piles of gorgeously plated, sumptuously inviting dessert. OH where to begin?! 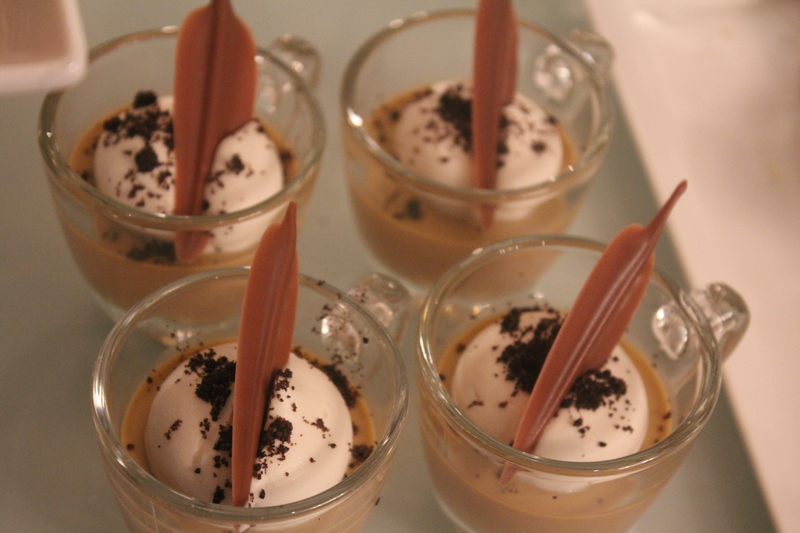 How about with a shot of Baileys, topped with a frozen coffee-milk concoction? Mmm, there’s so many good things about that sentence. 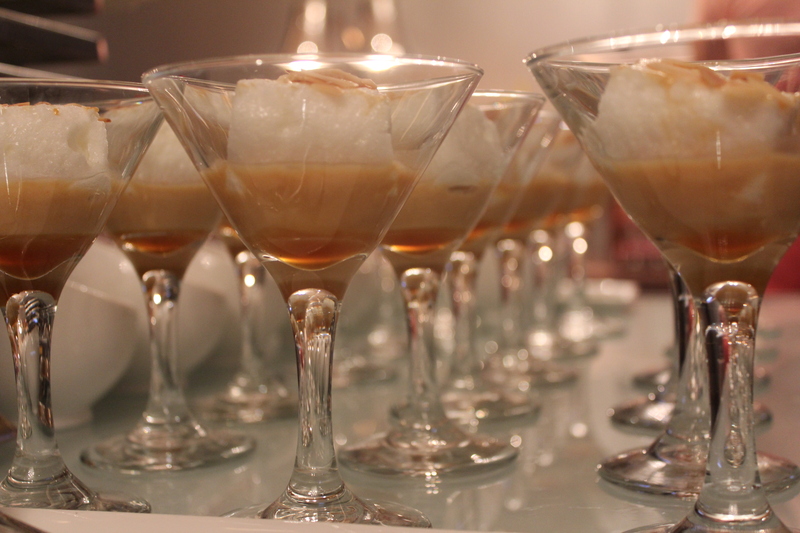 More delicious dessert booze? 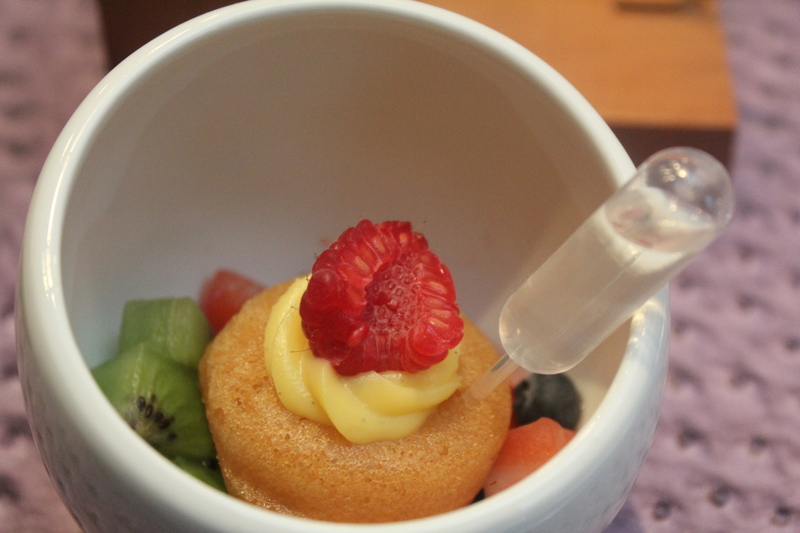 How about a delicate baba, nestled on a little bed of fruit salad…oh and injected to your liking with a shot of Cointreau? Yes, please. Boozey pud wasn’t all that was to be had though. 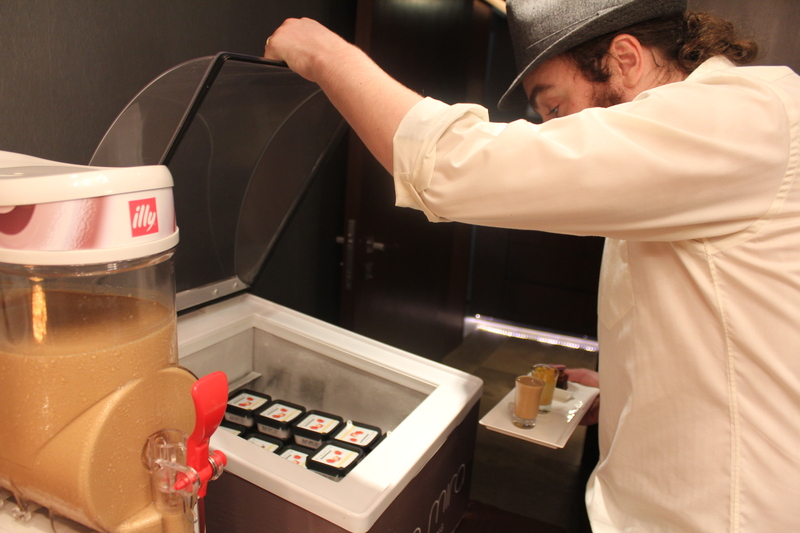 Dan practically dived into the buffet ice cream freezer!!! 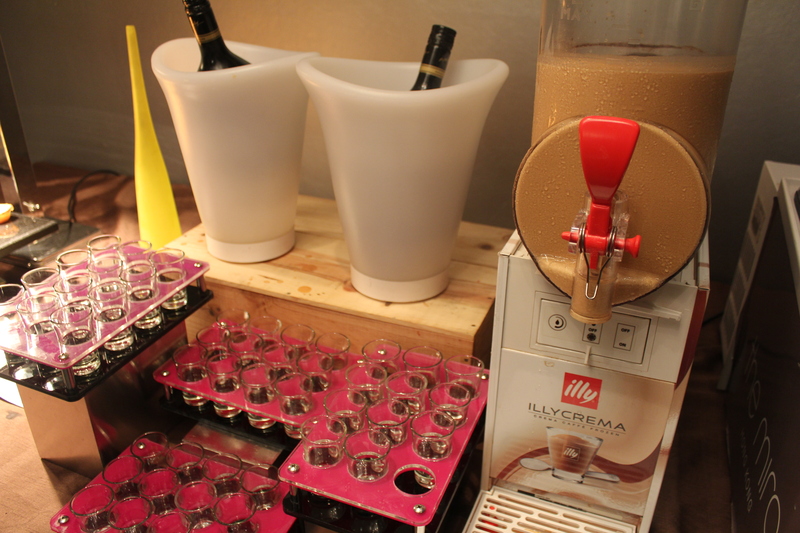 Did we mention that all of the above was accompanied by free-flow champagne, juices and coffees if one so desired? Full, tipsy and very, very enamoured with Whisk, we felt the momentum should continue so it was off up to the highest post in Hong Kong for another cocktail to finish the afternoon. 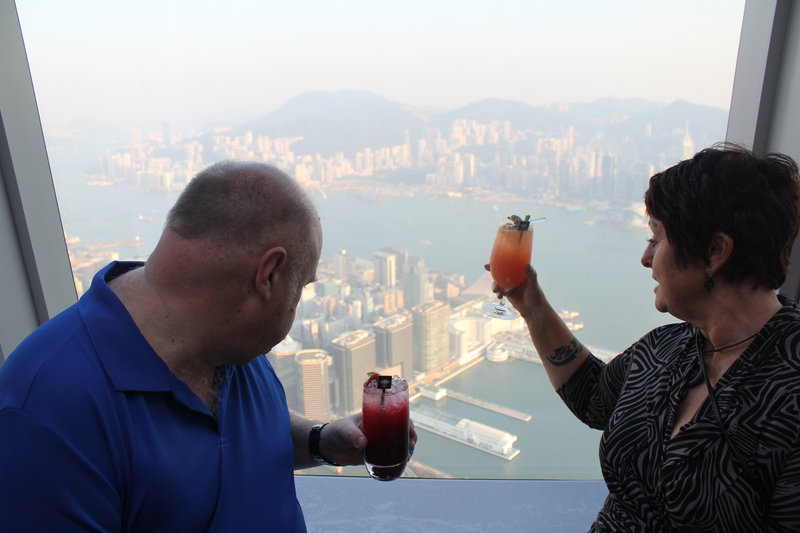 It seemed only right to show our guests the best possible, most Hong-Kongy experience we could. 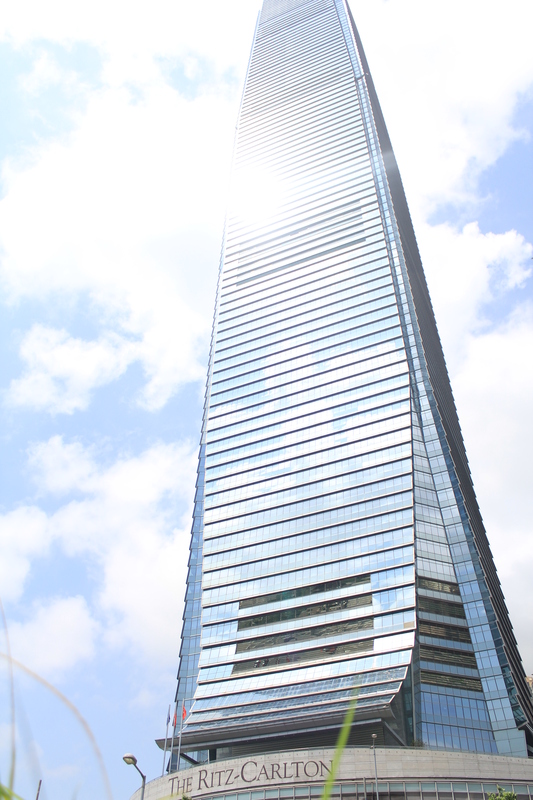 Off to Ozone, the world’s highest bar, perched in the Ritz Carlton on the 118th floor. Prior visits to Ozone have been either in the cloud (lame) or at night (spectacular) but we’d actually never been during the daytime. It was a great chance to point out bits and pieces of our surroundings and to gaze down upon humanity as we drank away the afternoon. We quite fancy the idea of dining in this corner, complete with beautifully laid table and a private corner overlooking, well, everything! At last, it was time to put an end to our gluttony and watch the sun wend its way down towards the other side of the world. 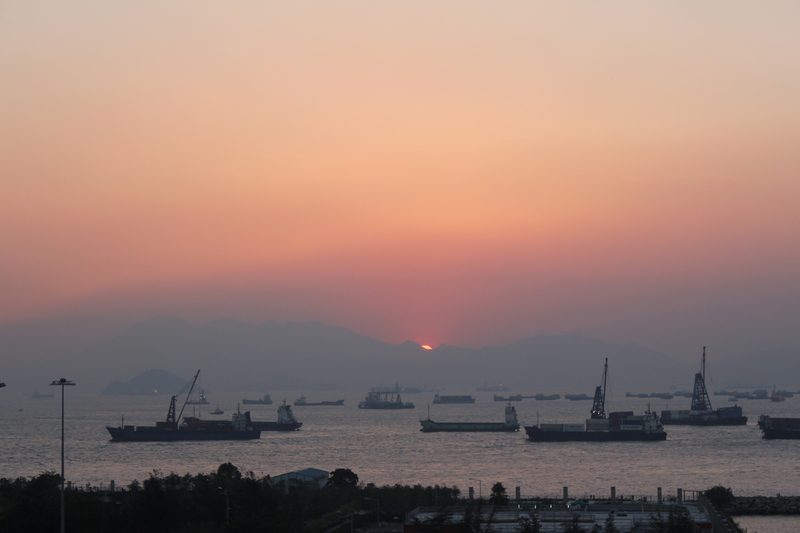 Good night Hong Kong and that’s probably enough food and booze…at least until tomorrow! If you do, let us know! Drool. Everything looks amazing. Was there a time limit as to how long you could stay in Whisk? I could imaging staying there for hours. Waiting for my stomach to have room and starting over again. Mmmmm. Looks amazing, but how much did it cost? It was super amazing and while not something we’d do every Sunday, definitely affordable enough for a once in a while treat. 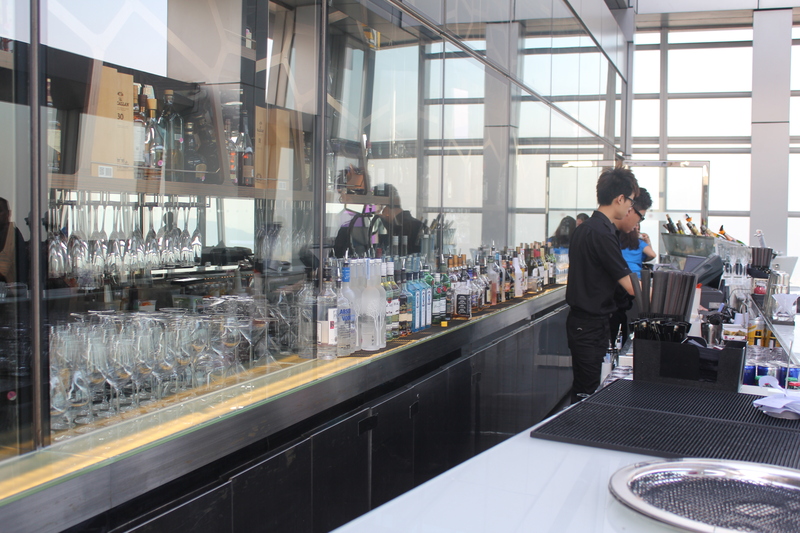 It worked out at a total of around $2300 HKD ($350 NZD/$296 USD/218 Euro) for four adults to dine leisurely and somewhat drunkenly even for those of us who went for the alcohol free option, thanks to the vodka, Baileys and Cointreau that lined certain dishes! Dear lord. And that’s a buffet you say? I feel faint. Just marvellous. Should take my Old School Friend’s Dining Club there. 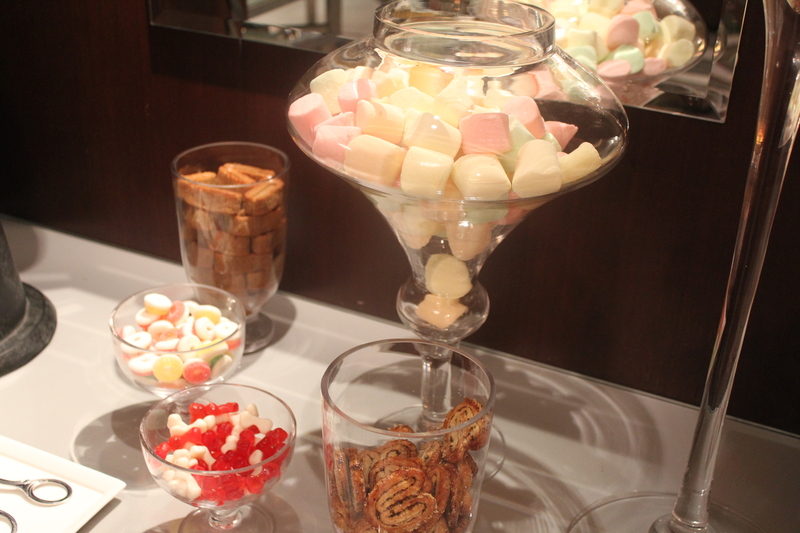 Its brunch with both plated AND buffet components so one can still feel slightly classy 😉 We’re not huge buffet fans but when one makes it onto the annals of this blog you know its something exceptional! Oh we know what you mean! Eyes always bigger than stomachs, plates piled, eat with the intention of going back for more…and then fail! However, we’ve practiced and learned (the hard way) to avoid as many carbs as possible, to go back often but only putting on small portions each time (so we get to try everything) and most of all to pace ourselves. We made a substantial dent in this one, only neglecting the bread/cheese. 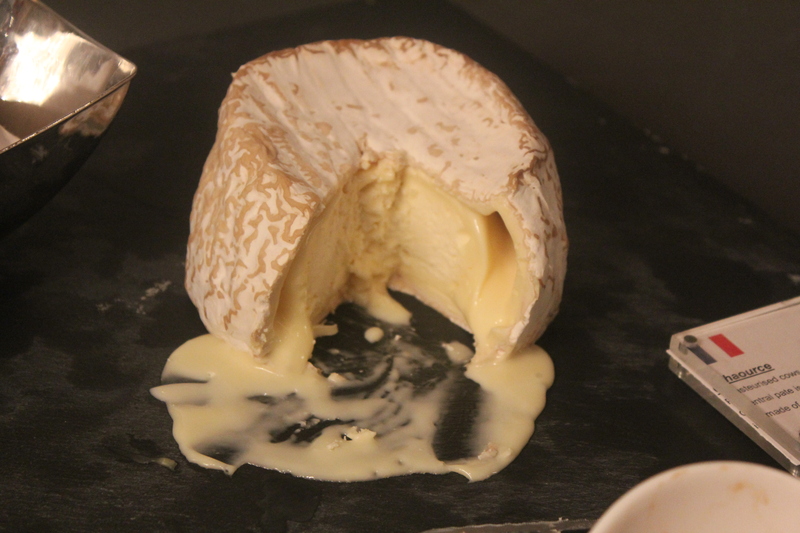 That melty camembert alone is reason enough to go back! Wow. Beautiful brunch spread. 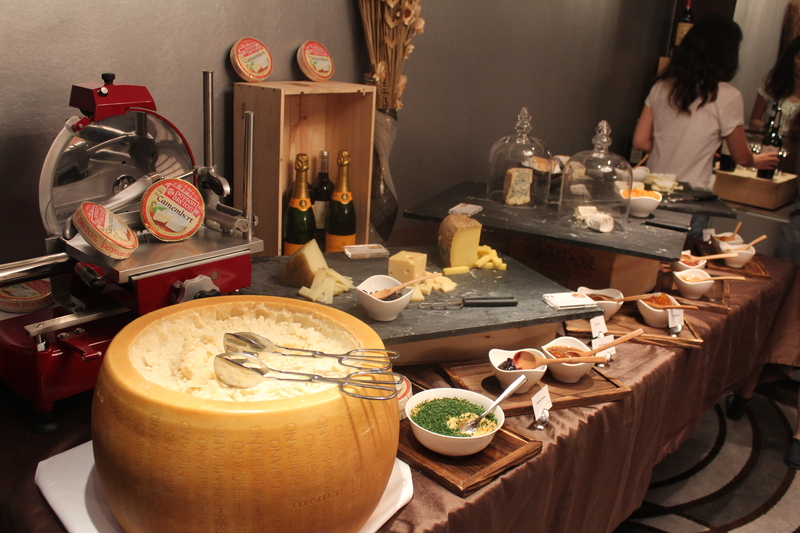 This is my kinda spread with free flowing champagne (Veuve Cliquot, no less) along with all the real deal caviar you can eat. I don’t think I would ever leave!!!! 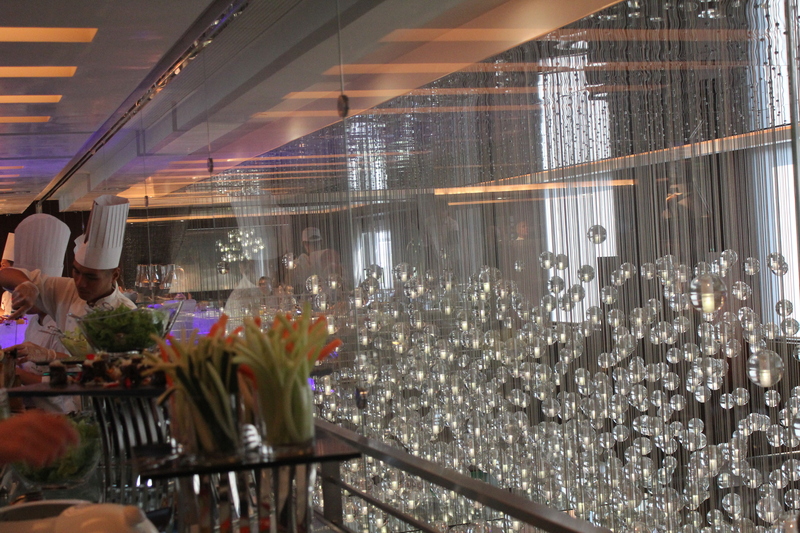 Just out of curiosity, how much does it cost for Sunday Brunch at Whisk? It’s funny you should mention the Veuve…we ended up with a criteria list to try and narrow down the Sunday brunch options (there are LOADS in Hong Kong) and H-J’s mum’s number 1 was exactly that, haha. 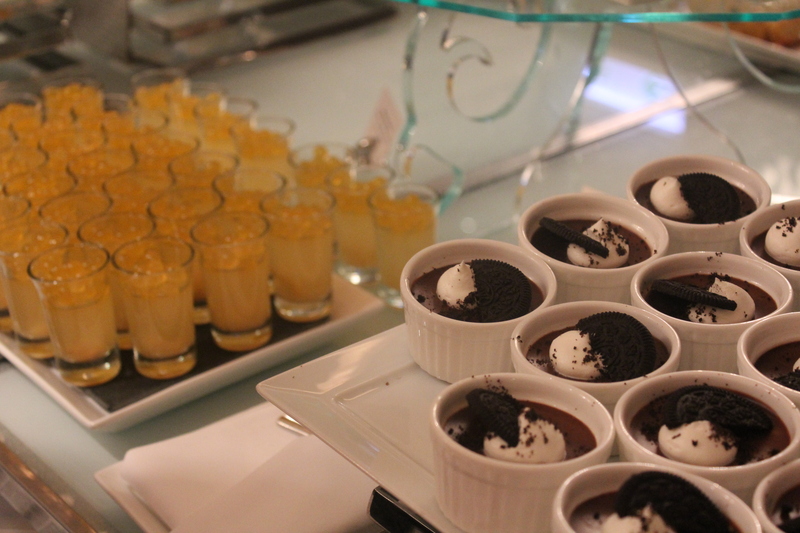 Dessert range was second on our list so we did pretty well on that front too. Regarding prices, see up a couple of comments for our reply to Ship’s Cook 🙂 It’s well worth it! $US 296 for 4!!!! Amazing. 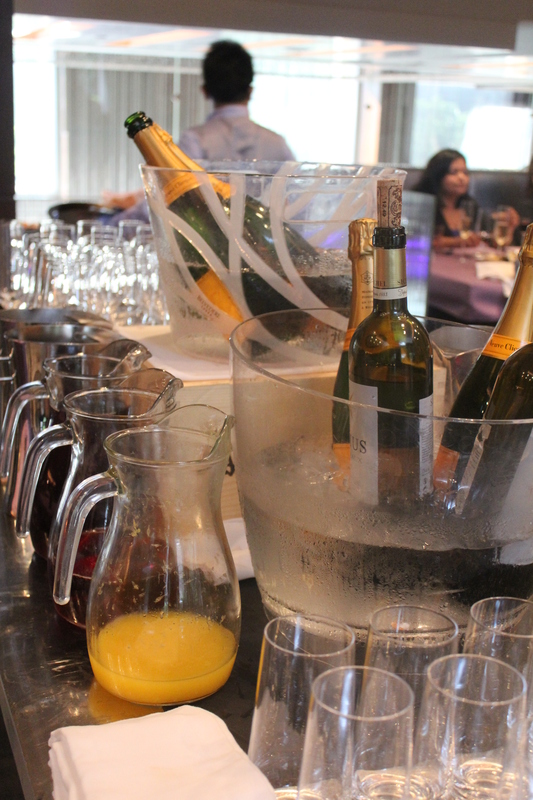 A free flowing champagne brunch with the quality of ingredients like that anywhere in the US (if you can find it) would run you $200/person easily. The alcohol alone would run $75/person, at least. I am soooo jealous!!!!!! 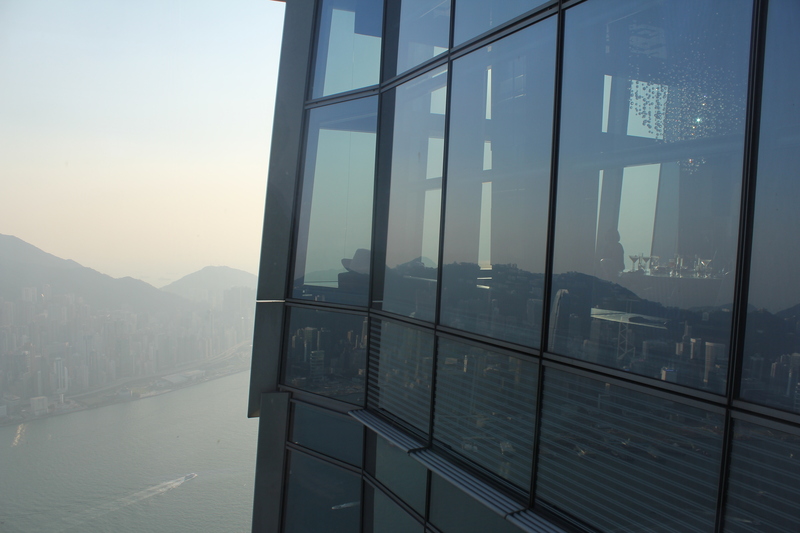 Oh and if you decide you need a culinary ‘research’ trip anywhere, we highly recommend HK and would be happy to be your guides!!! Jamon carved to order is everywhere here, even at some of the bigger supermarkets. 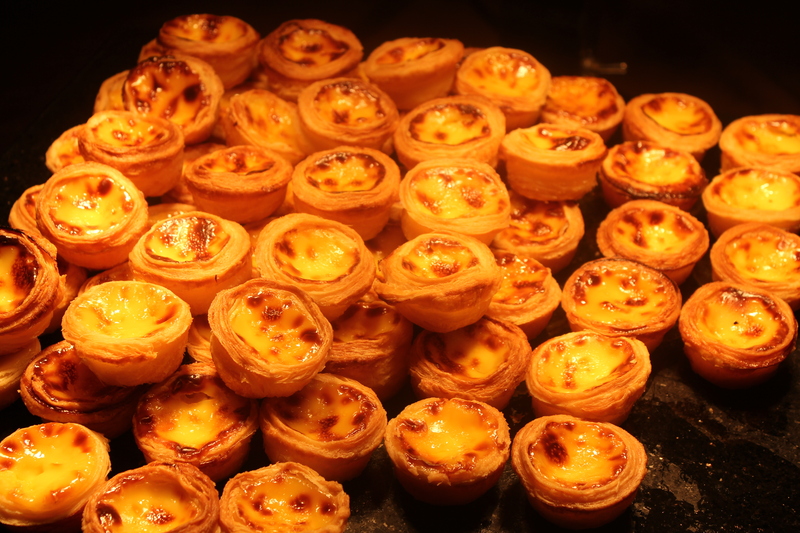 Hong Kong really is a food lover’s dream. We attended a Spanish festival early this year and sherry, jamon and various other tidbits had us in waves of delight (and slightly drunk) all by lunchtime. Good stuff. Okay! This is definitely on my list for places to visit and I will be back in Honkers some time next year, so put this one on our foodie/bar crawl! Obviously I get stuck with family duties and copious amounts of yum cha so I’ve got clear some space for this in my wallet & my tummy! I didn’t know it until I saw this, but this is exactly what I imagine the buffet in heaven to be like…that looks absolutely amazing!! It quite possibly might have been a feast laid down by angels…Angels with a slight fancy towards booze, hehe. Delicious!!! such fabulous set of your photographs..
We’re surprised we even managed to get any photos with all the eating we were doing! Awesome buffet and bar! 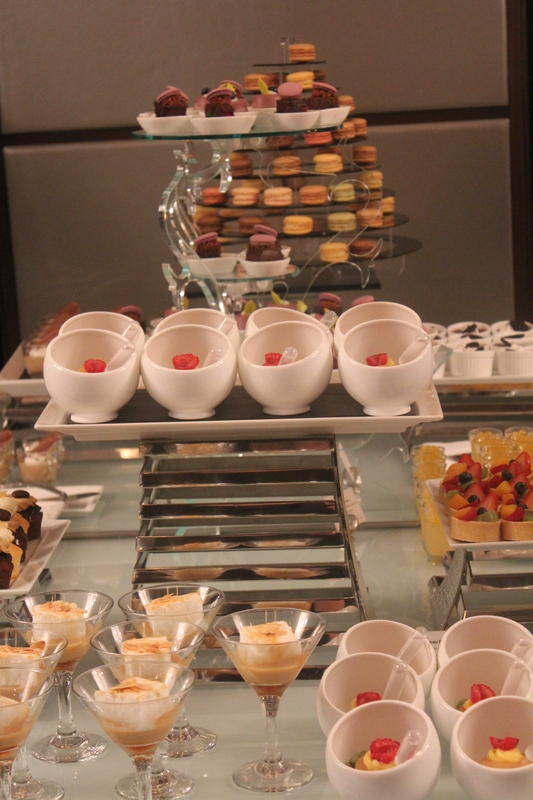 I have to try the buffet at the Mira hotel for sure the next time I’m there! 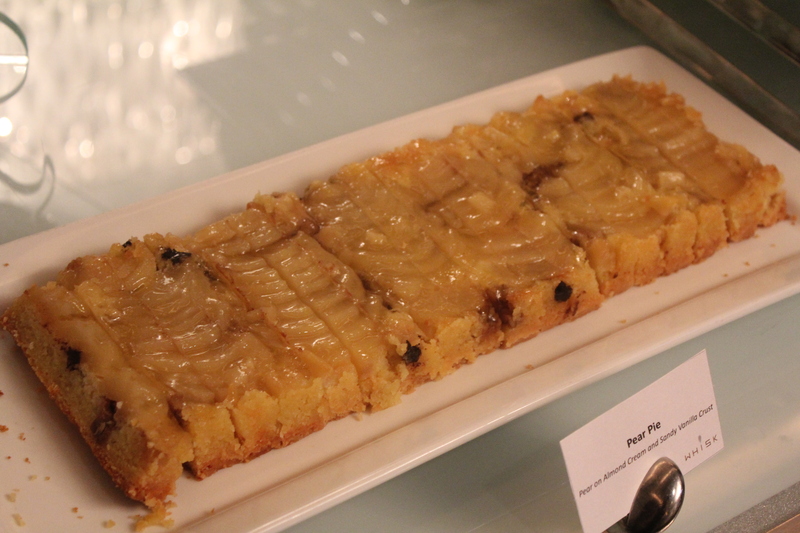 We tried the Intercontinental hotel’s brunch and dinner selections. Both are fantastic but the dinner had the Peking duck and that was the difference maker for me. Also the view plus the laser light show every evening at 8pm in the harbour was beautiful to witness. Brunch and dinner are separate entities so I say factor them both in, hehehe. 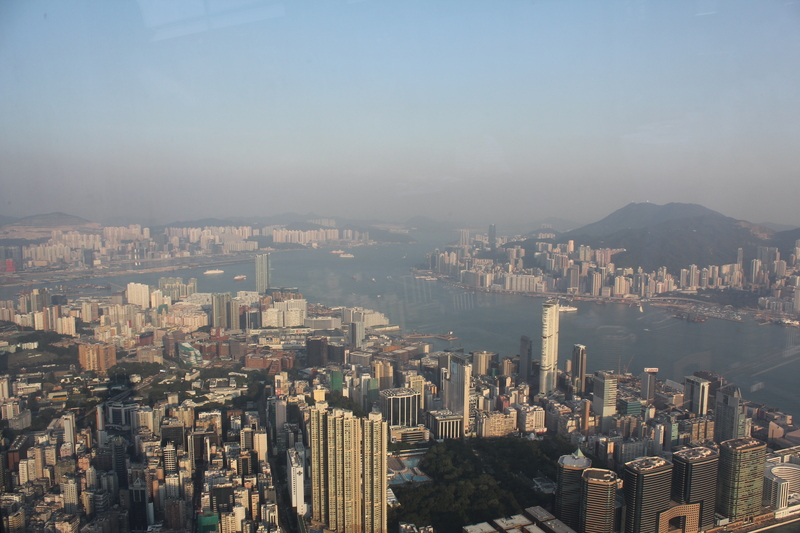 Hong Kong is the land of over-eating and you really must try everything! 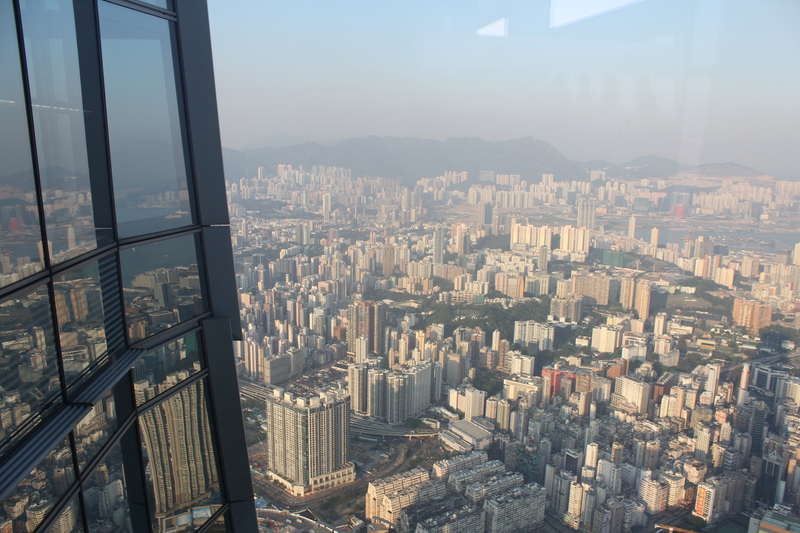 Funny how the view from Ozone looks a bit like Seoul. *Shudder* While we have extremely fond memories of Korea and absolutely loved our time there, the thought of living again in such a food devoid country (other than amazing Korean food, of course!) makes our tummies shrink up in horror, haha. How are you adjusting to life back in the ‘West’? WOW!!!! I WANT IT ALL!!!! And what is with stylish places always playing house music??? Is that a “YAY” to always playing house or a “YUCK” to always playing house? Hehehe. No a big ol’ YUCK EW YUCK. Oh phew…we wanted to make sure before we made some horribly derogatory comment about house music, scaring you away from us forever. We should have known you’d have more sense than to love it!